As a close boyhood friend of the Jewish faith once rightly told me “if you consider it, without the Resurrection and Easter, Christianity would not really exist”. When commercialism inserted its nasty finger, from henceforth, Christmas raced ahead in the popularity stakes, a time to splash out money, exercise gluttony and keep the alcohol flowing strongly. 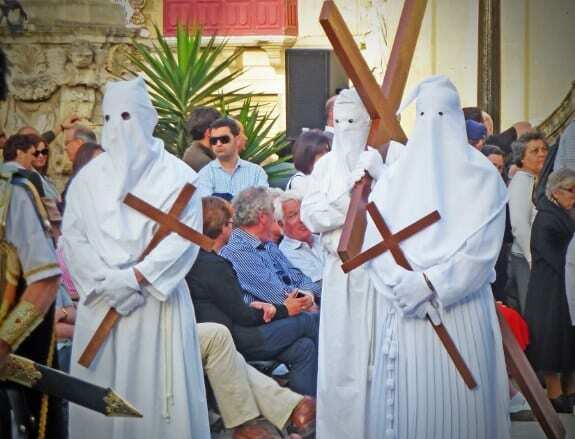 Nevertheless, Holy Week and Easter are by far the most important events in the Christian Calendar and Malta and Gozo have a lengthy and traditional history in both – although sadly, as with most religious aspects, the traditions are on the wane. 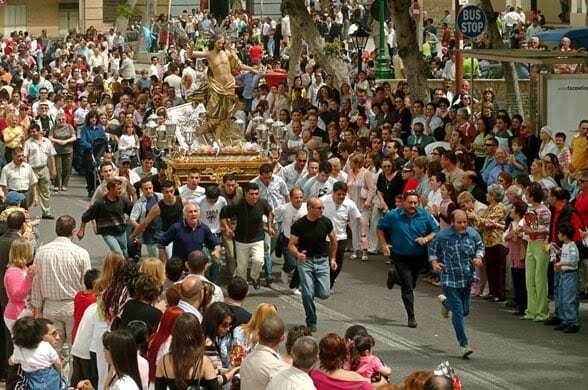 The week starts on the last Friday before Good Friday and processions dedicated to Our Lady of Sorrows are attended by thousands of devotees, the most traditional being the massive gathering in Valletta where thousands follow the statue of Our Lady veiled in sorrow and symbolic of the anguish of a mother witnessing the suffering of her son. There is of course much less solemnity amongst the younger generations nowadays, but that event preludes a week of preparation, fasting and events that go back many, many decades. 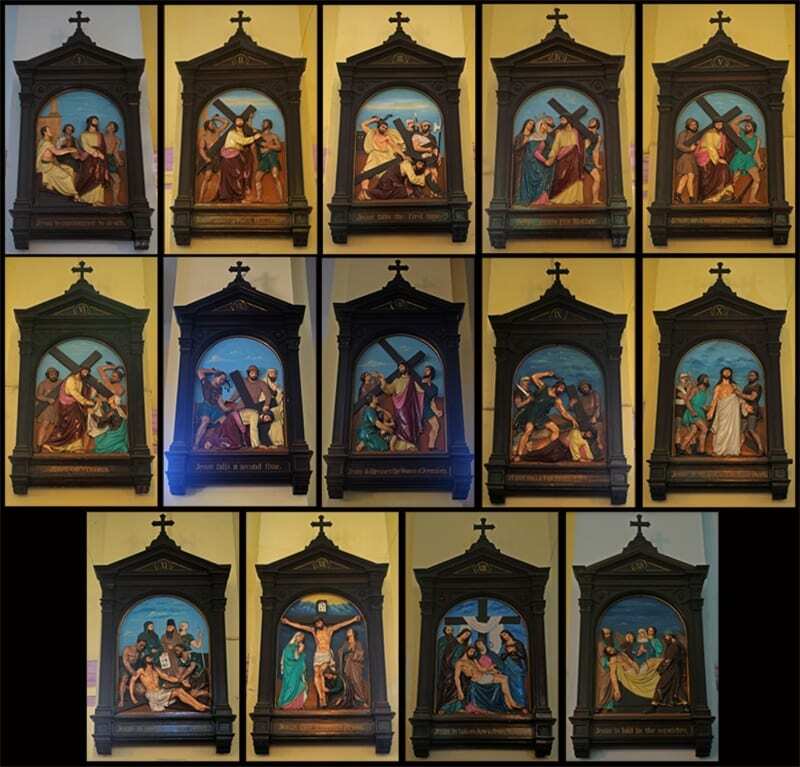 Maundy Thursday kick-starts the Good Friday preparations with evening ceremonies in all churches and chapels with the removal of the Holy Communion Host from tabernacles and the Holy Water drained from fonts, universal ceremonies throughout the worldwide Roman Catholic faith. 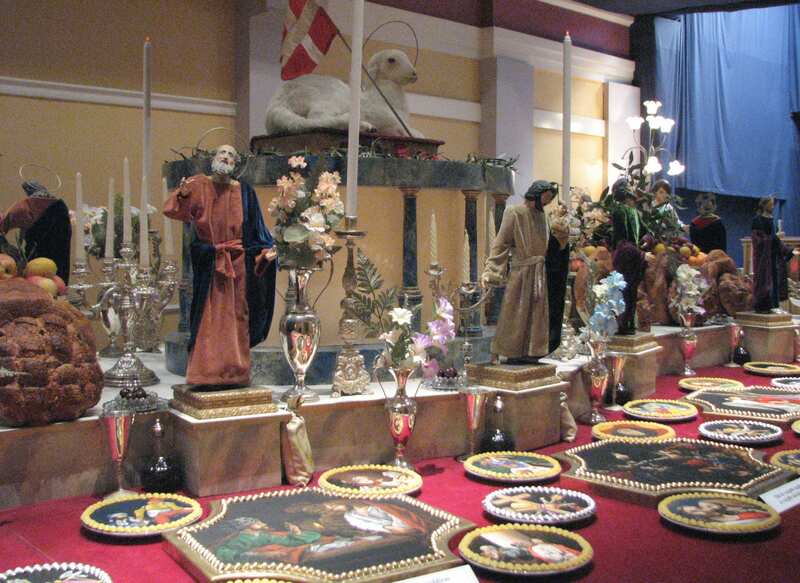 More specifically, Maltese traditions are mainly inherited from Spain and nearby Sicily and Italy. 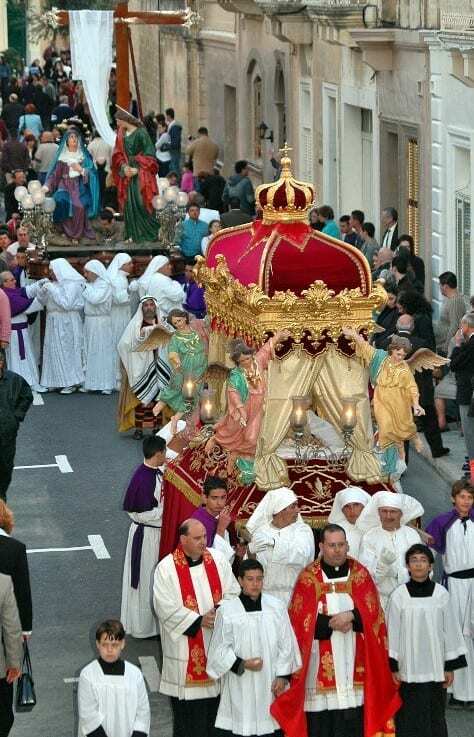 After the evening Thursday ceremonies, a small procession is held in almost every parish and Maltese families traditionally visit seven different churches in different localities, reciting the Rosary. 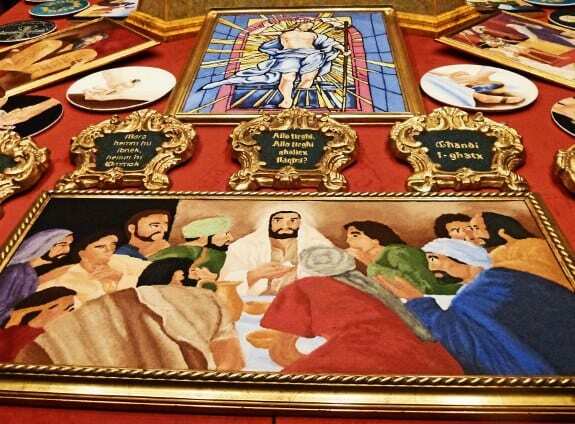 Some parishes have become famous for staging an exhibition of the Last Supper, the more famous being that of the St Dominic Parish in Valletta and the Immaculate Conception Parish in Cospicua, but also in Zebbug and many other places. 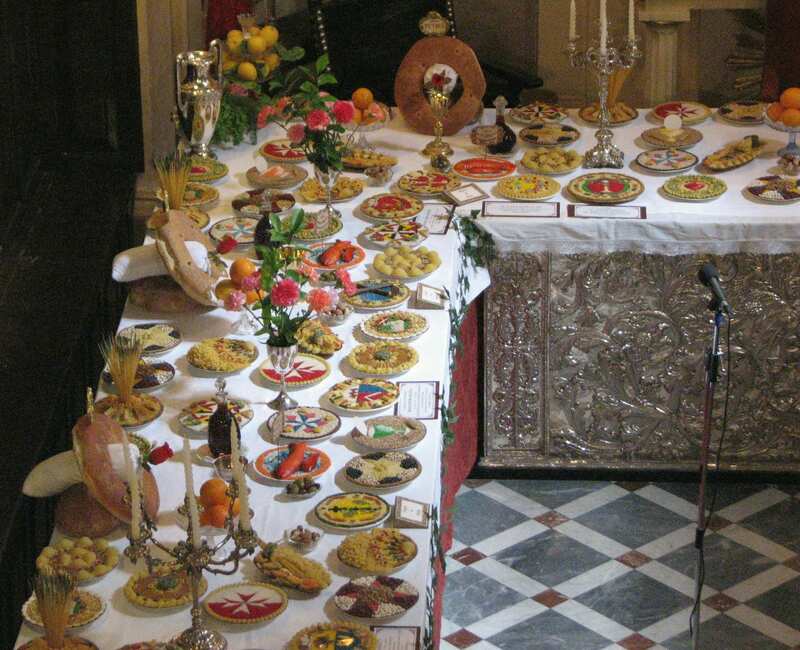 Visitors to these will see an elaborate table display which was certainly not manifest during the actual Last Supper but containing a wide display of foodstuffs that would have been found in Jewish households during the times of Jesus Christ – that is raw or cured olives, oils and various breads and fruits. 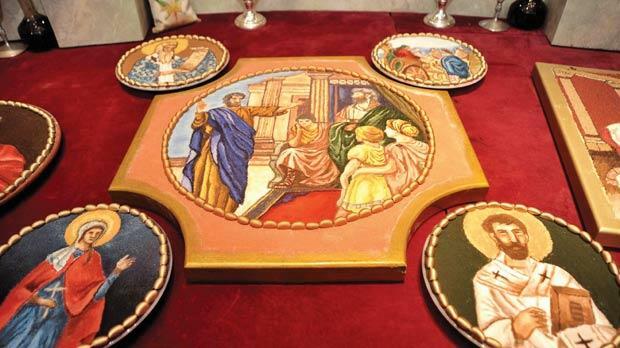 It is also highly traditional to display trays of raw rice and dried pasta decorated and coloured in various formations i.e. the Maltese Cross, fish and the Papal logo. 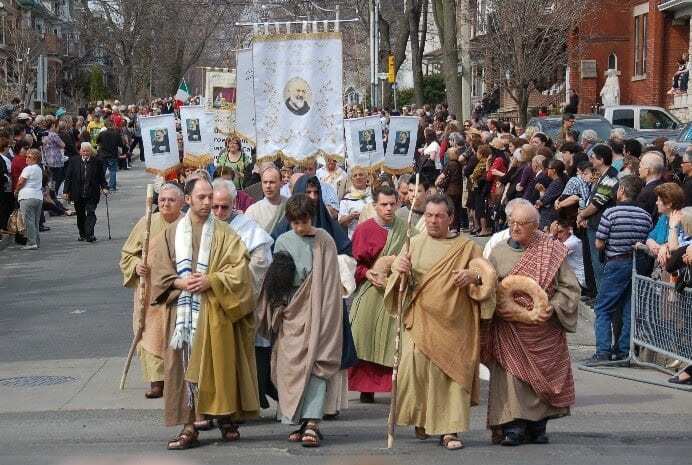 Good Friday processions are held in many towns and villages and have over the decades developed from simple processions into pageants of magnificent displays. 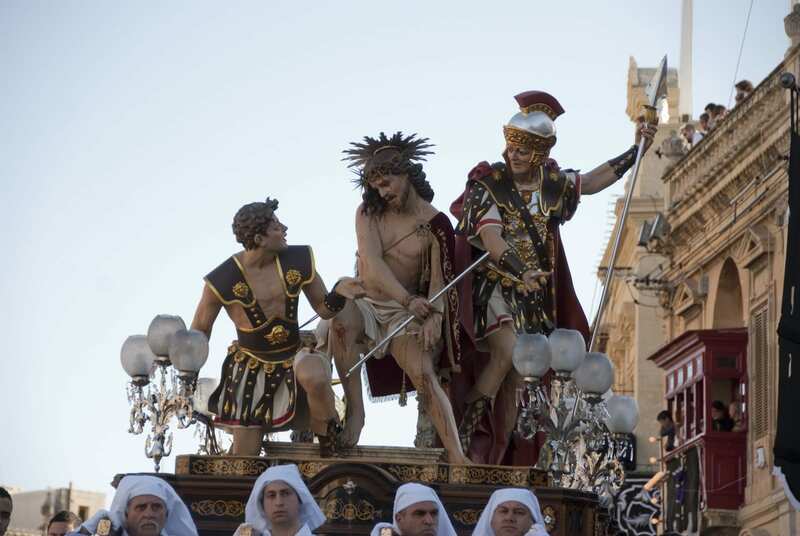 The traditional basis was that of carrying in procession seven large statues depicting the passion and crucifixion of Jesus Christ accompanied by the recital of prayers and the local brass band playing funeral marches. 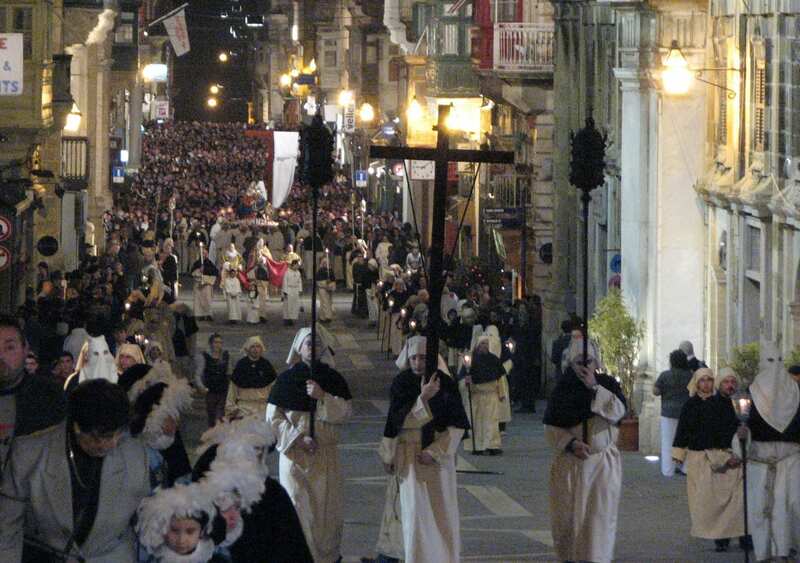 At the back of each procession would be a number of hooded penitents (Ku Klux Klan style) or those who have made various vows, barefooted, clothed and hooded in white (for anonymity) and carrying either an effigy of the Cross or dragging weighty iron chains strapped around their bare ankles – or both, depending on the vow. The most sombre is held in Valletta, the more colourful in Mosta, Qormi, Zebbug, Cospicua, Naxxar and Zejtun and Xaghra in Gozo. 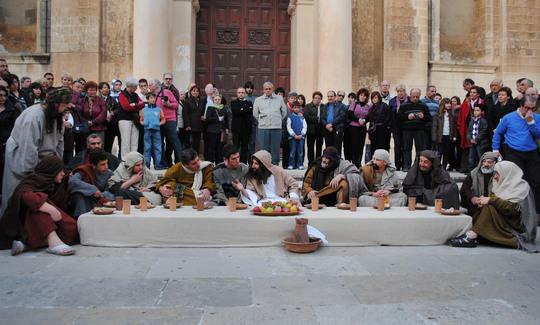 In Zebbug there is also a superb Madame Tussauds style waxworks exhibition of those present at the Last Supper based on Leonardo Da Vinci’s famous painting, the figures so lifelike you actually feel like talking to them! Zebbug also has the famous wooden rattle on the church spire, a continually eerie and monotonous funeral dirge that makes you want to scream out loud! In days past, female spectators wore black and covered their faces in black veils and men wore black armbands and refrained from wearing ties and smoking in public. Cinemas and dance halls were closed, playing pop music was suppressed and the one and only cable radio station run by Rediffusion broadcast funeral marches and Passion plays (no television then!). Such devotion no longer reigns. 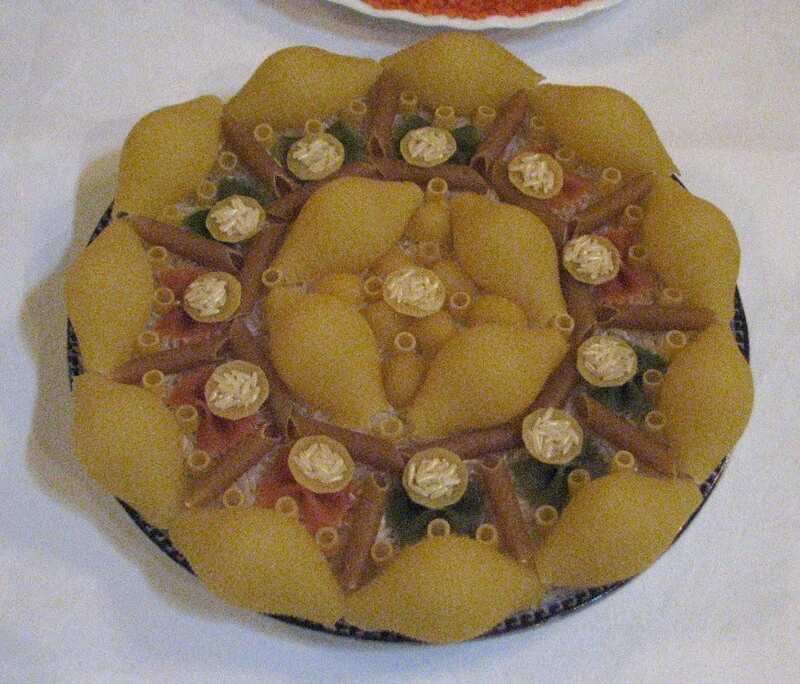 This being the Mediterranean, food is never far away with a number of traditional savouries and sweetmeats. “Pennite” are pencil-shaped sticks of rice paper and melted sugar (quite sickeningly sweet) wrapped in silver or coloured foil and for those fasting, “Karamelli” are popular, boiled carob fruit sweets. 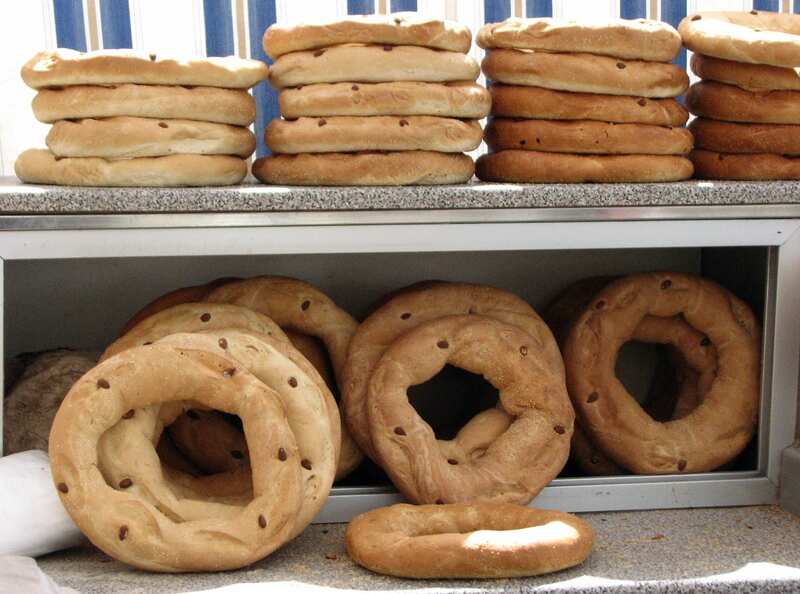 The Apostle’s Loaf is also highly popular, a large circular loaf about 16 inches in diameter with a hole in the middle (Polo-sweets like! ), decked with sesame seeds. Most macabre are Lenten Bones, baked marzipan confections in the shape of real bones. 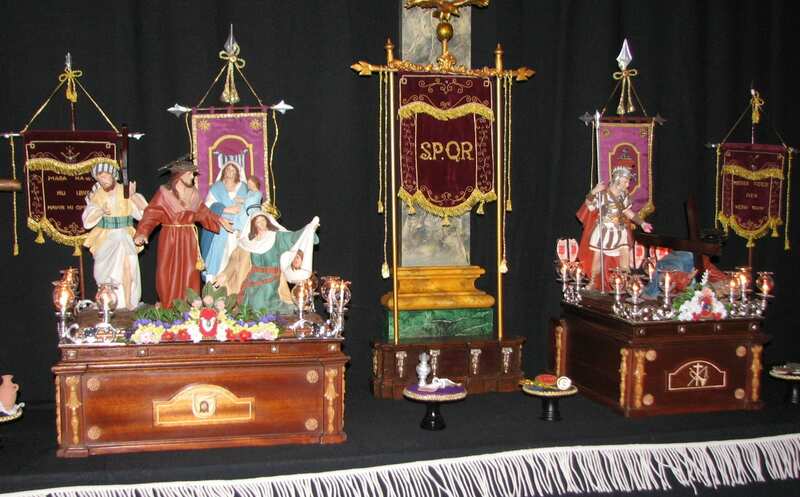 However, pride of place always went to the “figolla” which every child expected to receive from parents and close family relatives on Easter Morning. 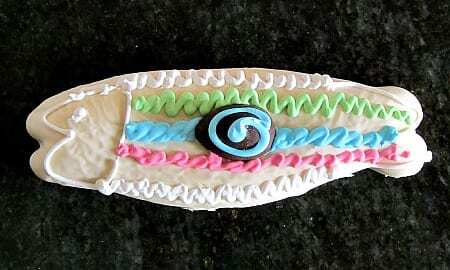 This was a 12 inch baked marzipan confection infused with a hint of lemon zest, highly decorated with brightly coloured icing sugar, in the shape of a woman for the girls and a man for the boys. Strangely enough the face was a cardboard print of a woman or a man plonked on the neck. Sadly enough this has been largely replaced by the foreign chocolate Easter egg, but “figolli” remain popular and traditional. Depicting an action of no added value.